Little children have minds that are like sponges, ready to soak up every possible thing about the world around them. This unique aptitude for learning is something that can go away or diminish if it is not nurtured correctly. Therefore, it’s a good idea to take advantage of the toddler and preschool years in order to develop as much of their curiosity as possible. 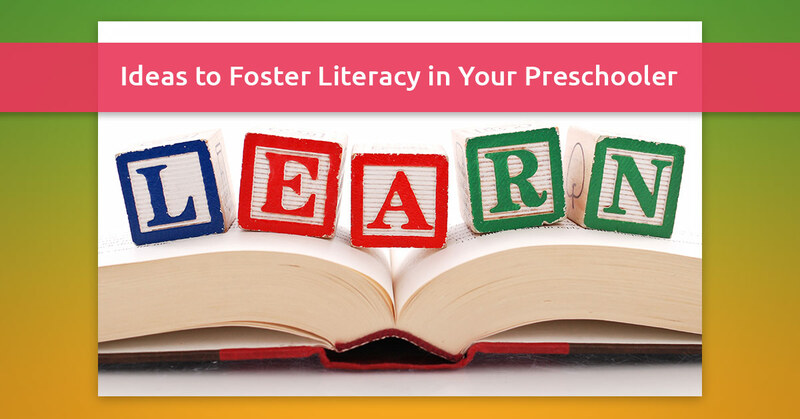 Here are some tips from our early childhood education center in Huntington about how to foster literacy in your young child. Try these fun and easy tips to foster alphabet awareness. Get a set of large cutout alphabet letters that your child can easily handle without risk of choking. Put an alphabet chart on the refrigerator. In the same way that you would ask your child questions like “Where’s your nose?,” ask, “Where’s the A? Where’s the F?” etc. Praise the child’s participation and attempts at getting the right answers right. Keep your alphabet activities short (under 10 minutes), and be watchful to end before you see signs of boredom in your child. Learn the sign language hand signals for the alphabet. Children are extremely sensitive to hand motions, and seeing your hand form the “A” letter while you are pronouncing “aaaaa” can help to form a powerful connection in the child’s brain about that letter. This will give them a huge boost when they start school. The importance of reading to your child can hardly be overstated. Here are some of our ideas for making reading time fun and enjoyable for both you and your child. Watch for which books draw your child in and keep their attention. Make reading time a special time that your child knows is special because of your genuine excitement, tone of voice, and body language. If you are bored and indifferent about reading to your child, they will be, too. If your child is wiggly and uninterested in reading books, don’t give up, but don’t force them to participate. Some children naturally gravitate to quietly turning pages and gazing at the pages of a book, and others are simply too busy to sit still for that long. If your child is very young (under two years old), it’s possible that if you wait a couple of months, they will have developed to the point where they begin to enjoy seeing books. Try periodically, and even if they only last three minutes, it’s worth something. Have a special place where you sit when you read, with perhaps a special blanket or stuffed toy who joins you at reading time. This way, your child will begin to associate reading time with the structured setup you have created. No matter what you do in fostering your little one’s literacy, be sure to lavish lots of genuine praise on their efforts to learn about letters and words. When a child feels special and amazing for doing reading, they will want to try again. Positive reinforcement will help their budding literacy to be sure to burst into bloom when they are ready to read. Rainbow Chimes is an early learning center that specializes in fostering childhood development for ages 8 months to 5th grade. Enroll your child today.